Spring signifies a new start every year and gives us a powerful energy boost. Use this to get off to a good start with electric mobility. 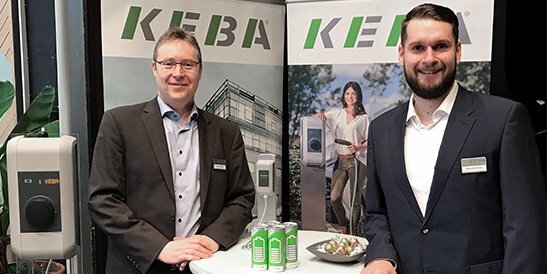 Visit us at the spring fair in Aschaffenburg organized by the electrical wholesaler FEGA & Schmitt to talk to our KEBA experts about current market and product developments. In a location where normally top-class football teams or legendary music bands inspire thousands of people, the Zander Group invites you to a trade fair event of a special kind. 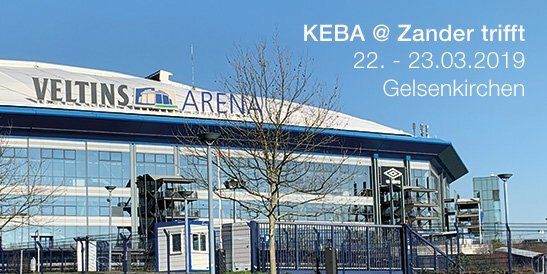 KEBA will be presenting new products from the world of electric mobility from 22 to 23 March in one of the world's largest football stadiums - the VELTINS Arena in Gelsenkirchen. For the first time ever, the eltefa 2019 will be hosting a special exhibit "The E-Road". Something KEBA cannot miss out on! Visit us and learn all about our wall boxes that are MID-certified and compliant with the German calibration law, thus making it possible to charge and bill in public areas. In the outdoor driving course you can not only test your driving skills, but also our charging stations. 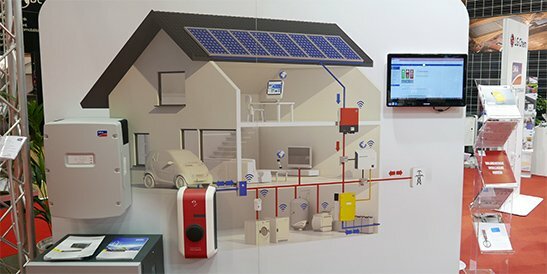 The Austrian Energy Saving Fair is the annual event highlight on the topic of "the perfect and smart home". 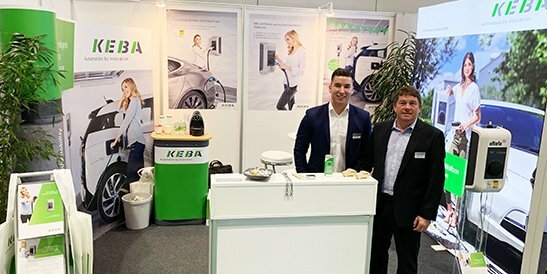 This year the electric mobility expert and market leader KEBA was once again well represented with numerous wall boxes, an expert lecture and participation in a panel discussion on the ORF stage. 5 days. 800 exhibitors. 65,000 m2 exhibition center. The Energy Saving Fair in Wels is Austria's leading trade fair for construction, bathroom and sanitation as well as for heating and energy. It attracts 95,000 visitors every year. Smack-dab in the middle of it all: our KEBA electric mobility expert Gerhard Wimmer. He has been invited to give a talk on "The Right Charging Station for My Electric Car". France calling ... again! This time our team is at BePOSITIVE - the national exhibition for the energy transition. And our wall box in the French national colors is on display again. 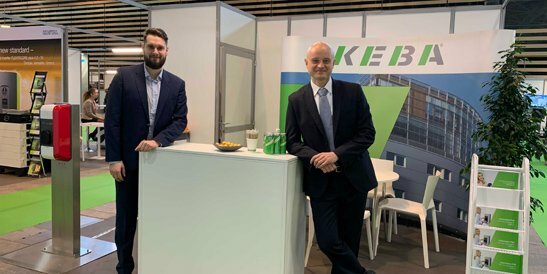 Why not visit us until tomorrow, February 15th, at the KEBA stand 6.1P47?